However big or small your enterprise, you as the administrator are performing HR responsibilities for hiring the right candidate, managing employee details, tracking time, handling employee benefits, measuring employee performance and much more. If you run a small or medium sized business, the use of HR software for these activities is the most appropriate solution as automating your HR can help you save time and money in a lot of ways. What are the benefits of using Employee Management System? You can purchase the Recruitment Module as a standalone version – you don't have to buy the entire Human Resource System. Yes every business is different by nature so naturally the size of group of people for different organization may differ and activity of employee will also differ. So it is best to opt for an employee management system which can be fully customized to suit the needs of your business. As of date there are cloud based employee management systems that allow you to work from anywhere in the world and have access to your employee management system as long as you have an internet access. They come in user-friendly interface and allow you to record employee information. They have unique features like allowing to record current number of employees according to division/department with automatic updation of figures when an employee is hired or resigns. They can keep records of inactive employees (those not in the company any longer). And hassle free features where in employees can update their own details which are sent for managerial authorization before being added to the system. These features often may form the backdrop for the other modules and can be used as a stand-alone module or integrated into other modules e.g. payroll, leave modules. They become easier to use because of the Search facility for easy finding of staff. Safety of information can be ensured by security rights that define the access people have to the information. They also keep personnel records such as appraisals, incident reports, employee perks. 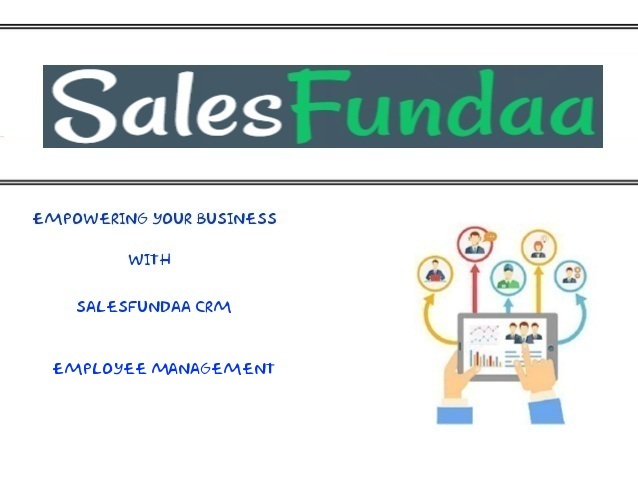 We at SalesFundaa provide Robust employee management solutions to our clients all over India and Abroad. Contact us on +91 – 9235 35 35 35 for all your business enquiries or drop your details in the comment box.